New Delhi : Congress leader Mani Shankar Aiyar on Thursday triggered a major storm calling Narendra Modi a "neech aadmi" (base), which the Prime Minister gave a caste angle, telling an election rally in Gujarat that describing him as "neech jaati" (low born) was an insult to Gujaratis who will vote out the Congress in the assembly elections. In a damage-control move, the Congress on Thursday night suspended Aiyar from its primary membership and slapped a show cause notice on him for the remark that mushroomed into a massive controversy - two days ahead of the Gujarat first-phase polls. Earlier, Congress Vice President Rahul Gandhi deprecated Aiyar's language against the Prime Minister and asked him to apologize, which the former Union Minister did, claiming his knowledge of Hindi was not good. Aiyar clarified that he never called Modi a "low born". As Aiyar's remarks that Modi was a "neech aadmi" (low-life) in the context of his criticism of the Congress vis-a-vis B.R. Ambedkar snowballed, the Prime Minister referred to it in an election meeting in Surat and attacked the Congress leader, saying he had called him a "neech jaati" (low caste). "They can call me 'neech jaati'. Yes, I am from the poor section of society and will spend every moment of my life to work for the poor, Dalits, tribals and backward classes. That is my culture. They can keep their language, we will do our work," Modi told an election rally. Modi said Aiyar came from a good family, has a number of university degrees, was a diplomat for a number of years and remained a Minister in the Manmohan Singh government, but was resorting to such insults. "This is an insult to Gujarat. Not just to Gujarat but to the entire nation." "They called us donkeys, neech, gandi naali ke keede...the people of Gujarat will give a befitting reply to such derogatory language. "I appeal to all BJP activists not to retort. But answer them on December 9 and 14 (voting days)... Voting results would mean what low caste means when everyone votes for the BJP." As the row turned into an embarrassment for the Congress, Rahul Gandhi took to Twitter to disapprove of Aiyar's language. "The BJP and the Prime Minister routinely use filthy language to attack the Congress party. The Congress has a different culture and heritage. I do not appreciate the tone and language used by Mani Shankar Aiyar to address the Prime Minister. Both the Congress and I expect him to apologize for what he said," Gandhi said. Reporters got around to Aiyar at a function in Delhi's WWF Auditorium Hall and asked him about Modi's attack and Gandhi's suggestion to him to apologize. "Yes, I used the word 'neech'. Now, I am not a Hindi speaker and I translate from English to Hindi. So I used 'low person', I translated 'low' in my mind. If it happened to mean something else. I apologize. 'Neech' as I understand is a direct translation of 'low'. "I never meant 'low born'. In English there's a clear distinction between 'low' and 'low born'. It is very possible that in Hindi -- which is not my natural language and which I learned after much effort -- I translated 'low' as 'neech'. But if neech also means 'low born' then I apologize that I used a word which can be interpreted in many ways, and in the way Modiji is interpreting it, I have nothing to do with that. "I don't think he is low born but his language is very, I'll say in English, is very low language. Why would he use such a low language for the Congress on such an occasion. Whatever I say they want to misinterpret. As far as I am concerned the bulk of my remarks dealt with Modi's very, very nasty remarks about the Congress, particularly with Gandhi's relationship with Ambedkar." Wading into the controversy, Finance Minister Arun Jaitley said Aiyar's "neech" remark displayed a mindset that only one elite family can be a ruler and the rest are only the "neech". Jaitley later told reporters that it was part of a Congress strategy to belittle the Prime Minister every day and then say "I will retract". "If you are unsure of the language or facts, then you are unfit to be in politics," he said. 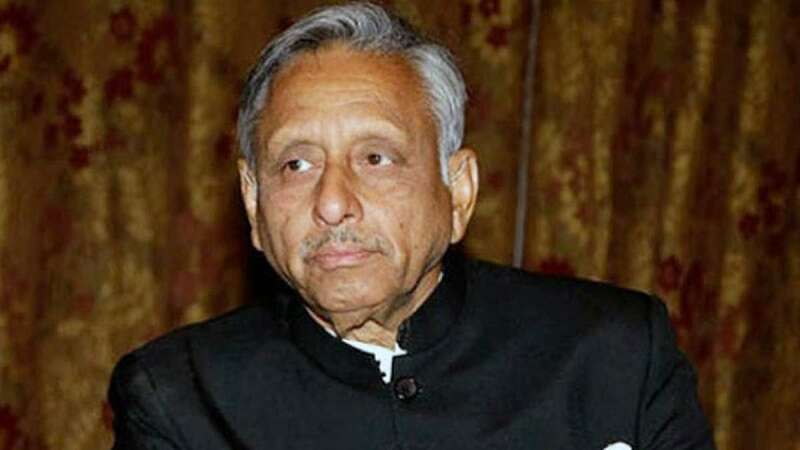 Later in the evening, Congress spokesman Randeep Singh Surjewala tweeted that Aiyar has been suspended from the party. "The Congress party has suspended Mani Shankar Aiyar from party's primary membership and issued him a show-cause notice," Surjewala said. "This is Congress party's Gandhiwaad and sense of respect towards its rivals. Can Modiji (Prime Minister Narendra Modi) ever show such conviction?" he added. The development comes as Rahul Gandhi is set to go to Gujarat on Friday for two days of campaigning for the second phase of polls, slated on December 14.